Upper Mustang Trekking is one of the exciting and wonderful journeys into the high Himalayan land of western Nepal. The Upper Mustang Trekking region is similar to Tibet, where you can see thousand-year-old monastery, ancient culture and trade and the fortified wall that is also quite same as neighbor Tibet. This destination is popular for the ancient Buddhist kingdom of Lo. The region was closed before but it is opened for all now. The famous medieval wall city of Lo- Manthang, it is the private capital of Mustang still remains a Kingdom with full of culture and religious heritage. The Upper Mustang Trekking is known as the mystifying and slight acknowledged destination of Nepal. As Mustang is resting into the high Himalayas of Nepal, the proportion of rain is less than other parts of Nepal. This is the reason behind the sterile moonscape of windswept stonework and irregular terraces. The Upper Mustang Trekking, which is situated in the shade of Himalayas, is possibly the final commune of faultless Tibetan culture. Despite prohibited and cut off from the world, people of Mustang have progress on their own mores and conventional cultures which seem so exclusive and affluent. As all over the place in the Himalayas, this trekking area has offered brilliant sceneries painted by Annapurna and Dhaulagiri. In additional, trekkers will be enclosed with 35 plus mountains whose altitude is above 6,000 meters. 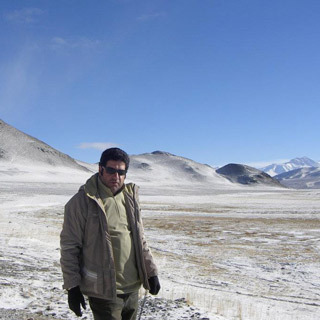 The altitude of Mustang Trekking itself gets higher from 2,815 meters to 3,780 meters. The trekking grade of Upper Mustang Trekking is moderate whose elevated access is Lo- Manthang, exceeding to 3,840 meters, the mode of trekking is camping only. As trekkers will visualize the Himalayan vista of Fishtail, Lamjung Himal, Nilgiri and Hiunchuli with attractive landscapes of Mustang Valley it will take the breath of viewers. The Upper Mustang Trekking will complete in 17 days including your arrival and departure date. This is a restricted region, we need to take a special trekking permit from the Department of Immigration to enter Upper Mustang. It is located in the rain shadow of Annapurna and Dhaulagiri mountain range, where a little rainfall and the trekking, which your number one choice in the rainy season. This trekking will be led by our well- trained and mountain experience guide. In the Trekking, your safety and satisfied is our major concern. So, we have been providing the higher quality service, where you can see and read our best review on the website. Our company always focused on best and quality service that offers reliable and affordable cost to all customer. It is a fully customized trekking package, where all our packages come with fixed departure. 17 days Upper Mustang Trekking will begin in the morning with a short scenic flight around thirty-five minutes flight from Pokhara to Jomsom. After Jomsom, we will walk to Kagbeni and will continue through the Chele, Gelling, and Charang to arrive at the Upper Mustang- Lo Manthang. After up and down, we return trip through the Drakmar, Ghiling, and Kagbeni to takes us to Jomsom. From there we will take a flight back to Pokhara and will return back to Kathmandu. The initial and concluding destination for Mustang Trekking is Pokhara. Nepal Glacier Treks has set Mustang Trekking for real adventure lover. Let’s join with our very popular Upper Mustang Trekking package and get great Himalayan experience. This trekking is truly wonderful and magical and a lifetime experience. NOTE: Please note down some important things about program; if you land at Tribhuvan International Airport (TIA) in Kathmandu after 4 pm you would be informed by our airport representative about tomorrow’s (second day) Kathmandu valley sightseeing programs on the way to hotel and then pre-trip meeting and would begin the sightseeing tour next day. However, if you landing very earlier than 3 pm then your pre-trip meeting would start on that same day either at your hotel or our office in Thamel as per your choice. During your pre-trip meeting, we will introduce you to your trek leader/guide. Please get this opportunity to ask questions about your trek, tour and important things. In the meeting, please make sure you bring a passport, three copies of passport-size photos, and a readable copy of your travel insurance paper. During this meeting and please clear the due balance, if some and sign the rightfully required trip procedures as well as the no- problem repudiation. Overnight at hotel. 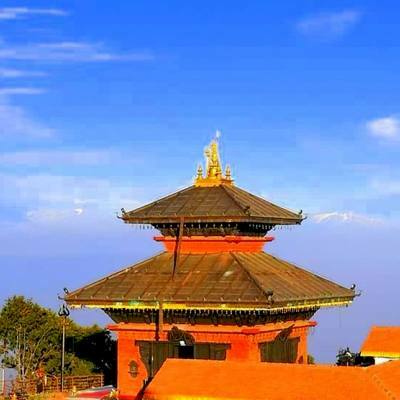 Kathmandu valley tour with a professional guide by private tourist vehicle. Day 02Pre-trip meeting and city sightseeing in Kathmandu valley On this day, after breakfast in the morning, at around 8am, we call a pre-trip meeting at your hotel in Kathmandu and introduce your trek leader/guide. Please get this opportunity to ask questions about your trek, tour and important things. In the meeting, please make sure you bring passport, three copies of passport-size photos, and a readable copy of your travel insurance policy. During this meeting and please clear the due balance. After meeting we will begin our Kathmandu valley sightseeing around 9:30 am including the cultural and historical site of Kathmandu Durbar Square, Patan Durbar Square and largest legendry Buddhist Stupa of Swyambhunath and Bouddhanath, and very famous hindu temple of Pashupatinath which are listed in world heritage sites by UNESCO. If we have plenty time, will visit Bhaktapur Durbar Square- it is city of Devote and back to hotel and trek preparation then have a pleasant stay at overnight in Kathmandu. Day 05Trek to Chaile (3100m) around 7 hour walk On this day, we chase the high trail or the riverbed route. The trail ups immediately to an edge and then down and hike over another edge. The trail goes up headed for the east bank of the Kaligandaki ascending over numerous boundaries as it goes north and arrive at Tangbe village. The town is a muddle of narrow alley sideways with wash away white houses, apple plantation, barley, wheat, fields of buckwheat. The Nilgiri peak, take over the southern vista of Kagbeni, all the way by diverse shapes. Outside Tangbe we touch Chhusang village in around 1/2 hour, then we walk and cross the river which remains north hiking up to a giant red lump of firm that has dropped from the cliff above, starting a tunnel that the Kaligandaki tracks. The trek now leaves the Kaligandaki valley and hike sharply up and rocky gorge to Chaile. Where the culture deviations from the Manangi philosophy to the Tibetan philosophy of Lo. Overnight stay at tented camp in the Chaile. Day 06Trek to Geling (3500m) around 6 hour walk Today, after breakfast in the morning we ascent continues up beside steep waterless terrain, treeless, beside the side of the magnificent steep gorge to a pass and landmark of rock. And then the trail makes a long regular down to some gompas and chortens on an edge, and with a further down before coming beside a pleasant trail to Samar village. We hike above Samar to an edge, then walk down into a huge gorge, crosses a stream and hike up to an edge, which the trail goes into another valley field. The route hike over however another pass, tracks an edge and then down to Shyangmochen. From there we smoothly hike up to a pass and walk down to Geling village. Overnight stay at tented camp in the Geling village. Day 07Trek to Charang (3620m) Today, we leave Geling village after breakfast for Charang village. The trail ascents smoothly up to an exciting pass NYI LA and descends lower the gray, red and blue cliffs. After passage suspension steel bridge over the river of Tangmar chu, we will reach to Mani wall may be it is the most remarkable and longest Mani wall in Nepal. And then ascending over next pass around at 3600meter, the track makes a quite long descend to Charang village. The major attraction to visit and to explore are the red gompa and white dzong gompa. There is we can also observe to Thankas, collections of figure as well as numerous seated large Lord Buddha’s painting. Overnight stay at tented camp in the Charang. Day 08Trek to Lo Manthang (3840m) Today, same as previous days we trek to Lo Manthang from the Charang village. It is very popular place amongst mustang visitors and good opportunity to explore two other ancient village throughout your trek. The trail ascends gradually until Lo- Gekar. This Lo- Gekar gompa is one of the oldest gompa of Nepal and it is the older than Tibetan’s Samye gompa. The trekking trail till Lo- Manthang is very good with some slight uphill and we can see the enclosed city of Lo from the ridge of Lo- Manthang. And then after a little descend, we cross a river then hike up into the highland of Lo- Manthang. Overnight stay at tended camp in the Lo- Manthang village. Day 09Visit Namgyal Gompa and Tingkhar Today, we do not trekking only sightseeing around Lo- Manthang village. We will visit Namgyal gompa and Tingkhar after morning breakfast. The Namgyal gompa is situated on a hilltop, to reach there it takes about two hour from the Lo- Manthang village. This is very important and popular monastery for the local community and its serving as a residence court. Afterward visiting Namgyal gompa carry on the tour to Tingkhar, where we can see around 40 houses and it is the last main village in the northwest of Lo- Manthang. Afterward visiting Namgyal gompa and Tingkhar, we return back to L0- Manthang. Overnight stay at tented camp in the Lo- Manthang. Day 10Trek to Dhi (3,410m) On this day, we trek to DHI from the Lo- Manthang. The trail strolls straight until DHI pass and descends below to DHI village. The hike from Lo- Manthang to Muktinath is tough, however more satisfying and exciting than the west part of the valley. DHI village is one of the most beautiful village of entire Lo- Manthang and it looks more flourishing and it is settled in a very seemly place. Overnight stay at tented camp in the DHI village. Day 11Trek to Tange (3,370m) From DHI village the trail heads through the stream for about two hour crosses a stream from Damodar Kunda, it is one of the holy lake. During this time, we need to cross the river by naked feet, there is no bridge on the river. After passage the cooler river the trail hike up until above high pass that is situated around at 3850 meter. After the pass the trail goes down straight along the treeless, naked hills and grassless to Tangbe village. This is a small village, where we can see around 40 houses but all the houses are attached to each other. From the ridge we can observe lots of dry woods, which is reflects the fortune in their community. Overnight stay at tented camp in the Tange village. Day 12Trek to Tetang / Chusang (3,022m) From Tange village the trail strolls through a sharp ridge of mountains as long as some fine sights of the airstream carved mountains. This village is shaped between two mountain; local people found it a safe place to escape the strong airstream that hits the whole Kaligandaki valley. It is the upper village of the Chuksang, where we already visit on the first day arriving to Mustang from Kagbeni. Overnight stay at tented camp in the Chusang village. Day 13: Trek to Jomsom (2720m) According to the itinerary, it is the last day of hiking. The trail heads through the village of Jharkot, where we can visit to see the numerous attractions such as Tibetan herbal medical center, famous Jharkot monastery and castle of Jharkot, which is once time served as a mustang palace. We can enjoy the sights of the Kagbeni village and Kaligandaki valley through the trek Jomsom. This is the entry point to Mustang, we catch a round trip of our hike in Ekle Bhatti visiting all the wonders of the human strength in this corner of the world of such separation and loneliness. After reaching to Jomsom to have fun the last day of trek with trekking staffs. Overnight stay at tented camp in the Jomsom. Day 14Flight back to Pokhara from Jomsom Today, early in the morning we take 30 minutes morning flight from Jomsom back to Pokhara. After arriving in Pokhara airport, we drive to hotel by private vehicle. Taking some rest in hotel and in the afternoon we start sightseeing tour around pokhara valley, including Gupteshwor cave, Devi’s fall, Phewa lake, Gorkha museum, Tibetan refuse settlement area and other popular area. Overnight stay at hotel in Pokhara. Day 15Leisure day in Pokhara It’s also extra day just in case of bad weather and delay flight in Jomsom. Overnight stay at hotel in Pokhara. 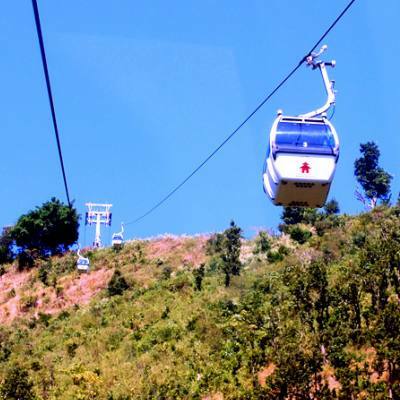 During the staying Pokhara, you can do some activities such as Paragliding, whole day boat riding in the Phewa Lake, and other popular activities. Day 16Drive to Kathmandu from Pokhara On this day, you will be back to Kathmandu from Pokhara by scenery drive. It takes around six and seven hour from the Pokhara city. After arriving in Kathmandu, you will transfer to your respected hotel, refreshed and take some rest and in the evening time you can buy some souvenirs and gifts to your family, relatives, and friends and loved one back home and enjoy farewell dinner with local food and cultural show then have a pleasant stay overnight at hotel in Kathmandu.